A flight of Kaiju Mk. 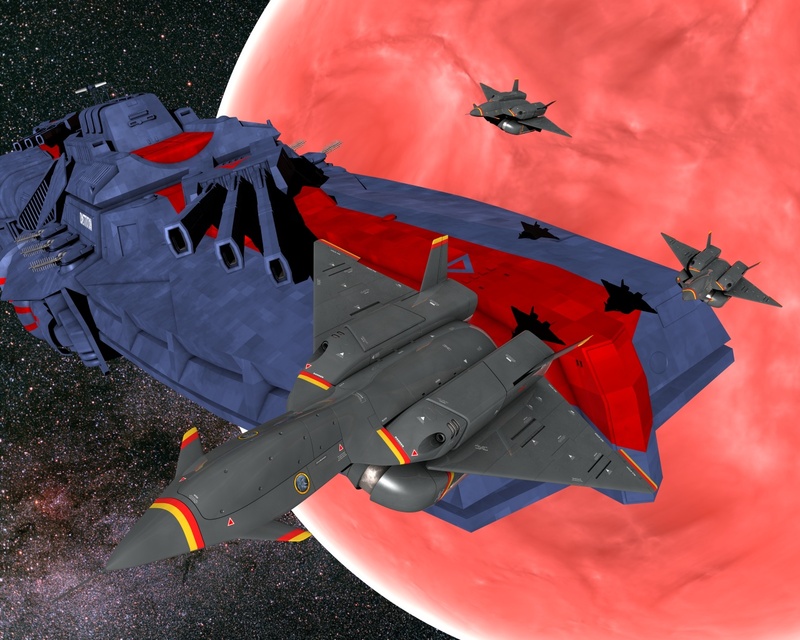 I transformable strike fighters passes across the bows of the Confederation Star Ship Constitution, in orbit around the planet Rattlecan in the Solomon star system. From the novel An Unproven Concept by James Young. Kaiju fighter model based on the drawing by Steven Sanders (www.studiosputnik.com), original design by James Young and Steven Sanders; Constitution model based on the drawing by Jon Holland (http://desuran.deviantart.com/), original design by James Young and Jon Holland.